Food Safety and Standards Authority of India (FSSAI) has released recruitment notification for 275 posts. Application begin today. Food Safety and Standards Authority of India (FSSAI), hereinafter referred to as 'Food Authority’ is a statutory Body under M/o Health and Family Welfare. 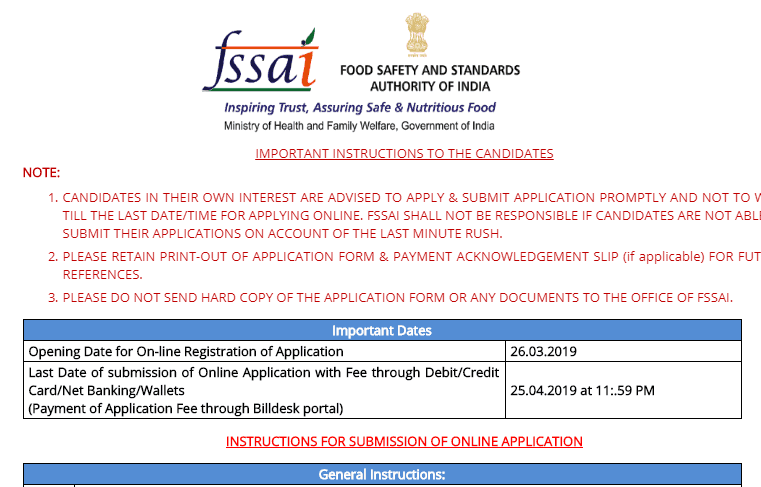 FSSAI has released official notification for the recruitment of 275 posts, Interested candidates can check their eligibility with experience. Candidates are advised to read official notification for educational eligibility and Experience details. Exam Dates To be notified later. ABBREVIATION: UR – Unreserved; SC – Scheduled Caste; ST – Scheduled Tribe; OBC ($) – Other Backward Class (Non Creamy Layer); EWS – Economically Weaker Sections.